Bat your salty lashes for a bodycon with an extra girly edge. 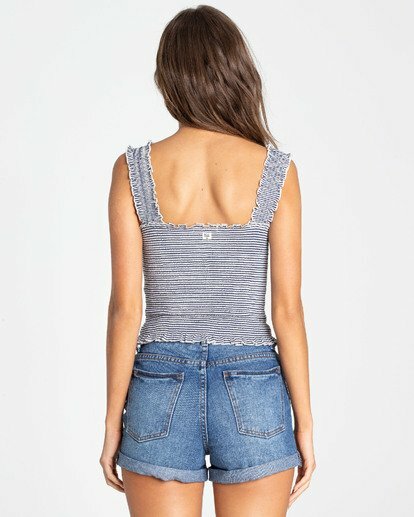 Made to live in the sun, the smocked crop top is trimmed with wide straps and a small ruffle at the edges. Cinched detailed at center front.